Dr. Lehman is licensed in Missouri and California and actively treats track and field athletes worldwide and professional sports athletes from North America. He focuses on rehabilitation of knee, shoulder and elbow injuries. According to the St. Louis Business Journal, Lehman has "worked with pro football, hockey and baseball players as well as numerous Olympic atheletes, starting with Jackie Joyner-Kersee." 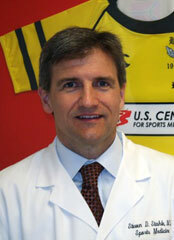 Dr. Stahle is the Primary Care Sports Medicine Director of the US Center for Sports Medicine. 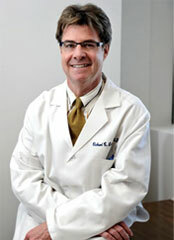 He is board certified and holds numerous certificates of added qualifications in sports medicine. He is known for his pioneering research and practice with the FAST procedure, Platelet Rich Plasma therapy, and synovial fluid replacement therapy in the treatment of chronic soft tissue and musculoskeletal injuries. 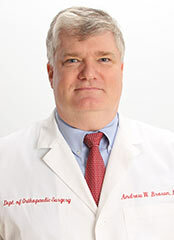 With a wide scope of experience Dr. Brown treats a variety of sports injuries. This includes sprains of the ankle, knee, hip, wrist, hand, elbow and shoulder. Common surgeries performed include arthroscopy of the ankle, knee, elbow and shoulder. Ligament injuries of the knee as well as cartilage and tendon injuries are seen. Patellar dislocations as well as quadriceps and patellar tendon tears can be treated. Whether you’re an athlete of amateur or renowned status – a patient, coach, administrator – you’ll find that our staff of physicians, registered nurses, technicians, support specialists, and office personnel are all committed to your well-being and satisfaction. Excellence in orthopedic surgery, complex fracture care and rehabilitation of sports-related and occupational injuries. Advanced Arthroscopy and cartilage repair and rerejuvenation.